Newtonhill & District Bowling Club opened their green for the coming season on recently. Members were invited along to green opening which saw the first jack delivered by Norma Hendry wife of President Alfie Hendry. 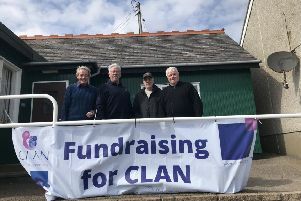 The club recently held an Open Day for the local community to show what the club had to offer to residents of the surrounding area. Anyone is welcome to come along and give bowls a try.